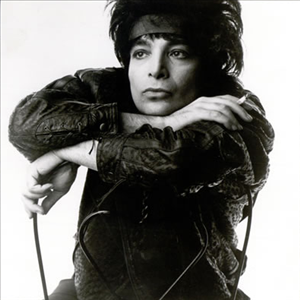 Joe and Anne Austin would have made a small fortune if alan vega would have been around in the pool room days with his infatuation with the jukebox baby. Seeing Iggy Pop perform at the New York State Pavilion in August 1969 was an epiphany for Vega. In 1970 he began experimenting with music withMartin Reverby. Together, they formed Suicide, along with guitarist Paul Liebgott. The group played twice at the gallery before moving on to the OK Harris Gallery. Calling himself "Nasty Cut", he used the terms "Punk Music" and "Punk Music Mass" in flyers to describe their music. which he adopted from an article by Lester Bangs. In 1971 the group dropped Paul Liebgott and added Mari Reverby, on drums, though she didn't play in their live performances. With Bermowitz finally settling on Alan Suicide as a working name, they began to play music venues. Suicide went on to perform at the Mercer Arts Center,Max's Kansas City, CBGB and ultimately, achieve international fame.